It’s a special day for the railway! 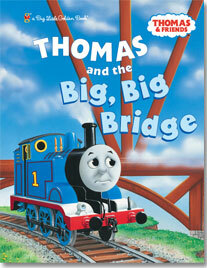 A big, big bridge has opened in the new rail line through the Mountains of Sodor. Thomas is excited, but some of the other engines are afraid of being so high. Can Thomas help them get over their fears–or will he become afraid, too?